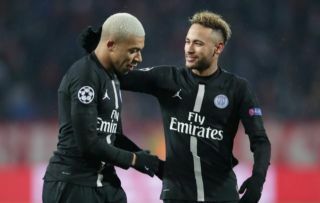 Real Madrid are described as edging closer to sealing the transfer of Paris Saint-Germain superstar Neymar in a move that would possibly cost as much as €350million. This is according to the Daily Record, who add that Neymar is a target for the Spanish giants alongside Chelsea forward Eden Hazard, who they’ve also made an opening offer for, though it’s been rejected by the Blues. If Neymar does end up leaving PSG for Real Madrid for €350m (£300m), this would again make him the most expensive footballer in history, breaking his own record set when he left Barcelona for the French capital in 2017, as reported at the time by BBC Sport. The Daily Record claims the Brazil international is keen on the move to the Bernabeu, where he could be an ideal replacement for Cristiano Ronaldo, who has been badly missed since he was sold to Juventus last summer. Zinedine Zidane just returned as Los Blancos manager in what looks a good move to start a major rebuilding process at the club. Neymar to Real Madrid along with Eden Hazard? If Zidane can bring in signings like Neymar and Hazard then Real will surely be back as a major force next season despite this hugely disappointing campaign. It would be intriguing to see the response from PSG if this happened, however, with the Ligue 1 giants spending huge sums in recent years to try to win the Champions League but failing yet again this term after a surprise home defeat to Manchester United.